Right now, battles over water supplies rage across the country. 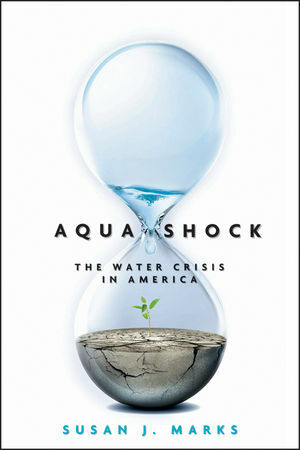 Aqua Shock is an objective look at how we arrived at this crisis point and what we can do-and should be doing-to solve the water crisis in America. Susan J. Marks is an award-winning journalist and author. She spent more than a dozen years at the Denver Post, primarily as Sunday business editor and special projects editor/business. She has also written for BusinessWeek, the Los Angeles Times, Forbes, Woman’s World, ColoradoBiz, and the United Communications Group. Her work has received awards and recognition from local, regional, and national organizations, including Gannett, the Colorado Press Association, and the Society of American Business Editors and Writers. She lives in Denver. 2 Where Our Water Comes From: A Global Perspective. 4 Danger! Safe Water at Risk. 7 The Cost of Water: Cash, Commodities, and Capitalism. 8 Can Our Water Be Saved?